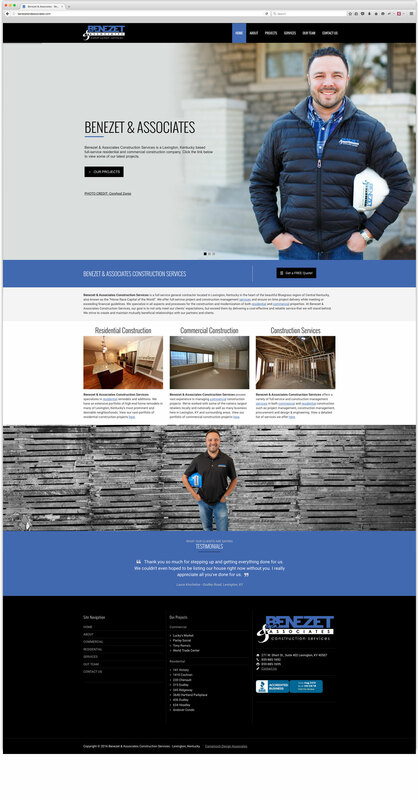 Benezet & Associates Construction Services is a full-service general contractor located in Lexington, Kentucky. Benezet & Associates specializing in residential and commercial remodels and new construction projects. Camenisch Design Associates has worked with Benezet & Associates to develop a strong and scaleable brand identity. Camenisch Design Associates is responsible for the brand development of Benezet & Associates which includes, but is not limited to, logo design, website design, architectural photography and business cards as well as other marketing materials such as brochures and magazine ads.